The Texas Panhandle’s two significant federal park attractions aren’t likely to attract the attention garnered by actual national parks. But as the National Park Service marks its 100th birthday, I thought it would be good to hold up the Panhandle’s parks for your attention. Lake Meredith National Recreation Area, all 44,000 acres of it, is going through some serious change. The park is being improved, developed and made more attractive to visitors coming to the region. Do you remember the drought that ravaged the area in 2011-12? Sure you do. Lake Meredith park officials began repurposing some of its features to become a more land-based attraction. The lake itself was diminishing rapidly, falling to a low of 26 feet. Then something quite unexpected happened in the spring and summer of 2015. The rain started to fall. It kept falling upriver. The Canadian River poured into the lake. The level rose to more than 60 feet. Boaters returned to the lake. The lake — in this centennial year of the National Park Service — is in far better shape than it was just two years ago. The Lake Meredith NRA is enjoying a return of visitors. People are enjoying the water, along with the hiking trails and the campgrounds being developed throughout the area. We have a national monument, too. Alibates Flint Quarries isn’t far from Lake Meredith. It features exhibits where the park rangers show tourists how Native Americans dug out stones to use for tools and weapons. That park, too, is being improved for better use by those coming to the region to understand its history. Texas does not set aside much of its land for public use. Statewide, the percentage of public land remains minuscule. In the Panhandle, we place great emphasis on private land ownership. But these two federal sites are worth saluting as the nation marks the centennial year of the National Park Service. We also ought to thank the Almighty for restoring that big lake’s water level. 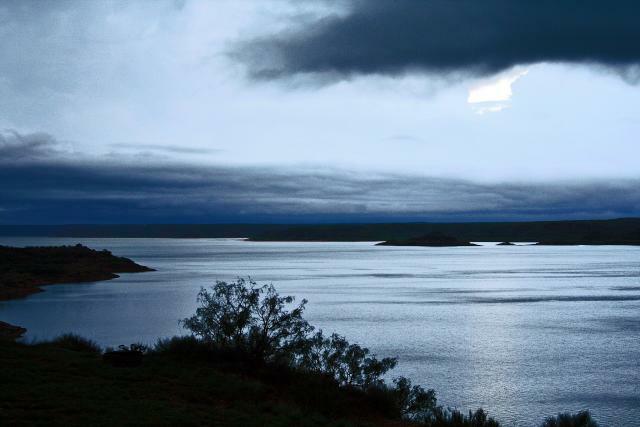 LAKE MEREDITH, Texas — A few months back, I wrote a story for NewsChannel10.com about the health of Lake Meredith and the 44,000-acre national recreation area that surrounds it. National Park Service officials told me the lake was doing quite well these days, thanks to the rainfall and the river flow that has poured into the lake, increasing its depth to more than 65 feet, which is a good bit greater than the 26-foot depth to which it fell in 2013. So today, some members of my family and I took a look for ourselves. The park officials weren’t kidding. The lake is doing very well. It’s crawling with human visitors who today flocked to the lake to get take advantage of its refreshment from the 100-degree summer days that have been baking the Texas Panhandle for what seems like forever. 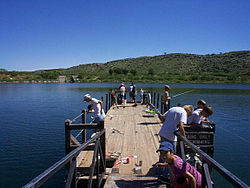 We went to Fritch Fortress, which is a boat ramp/swimming hole/ fishing pier. As the picture illustrates, we were far from alone this day. By the time we packed up, traffic was backing up along the drive to the boat ramp as boaters were backing their craft into the lake. We don’t go all that often to Lake Meredith. My wife and I don’t own a boat, although I understand fully that the recreation area contains a lot of amenities fit for other activities. There once was a time when I worried about Lake Meredith and its viability as a tourist attraction. Today, I am not as concerned as I was when the Lake Meredith was threatening to become known as Puddle Meredith. This year, the National Park Service turns 100. Lake Meredith NRA has been a part of that network of federal parks since 1965, when the government completed work on Sanford Dam. Granted, the lake isn’t as high as once was, but it’s in a damn sight better condition than it was just a few years ago. The sight of all that water and all the enjoyment it gives to those of us who live — and those who come here to visit — gives me hope for the lake’s future. Palo Duro Canyon ‘National Park’? Who knew? You learn the most amazing things just picking up magazines and browsing through their pages. Take what I found out today when I opened a copy of the Texas Parks & Wildlife magazine. It was that in the 1930s, Palo Duro Canyon came within a whisker of being designated a national park. Is it possible that the jewel of the Texas Panhandle could have joined Big Bend and Guadalupe Mountains national parks? Big Bend became a national park in 1944; Guadalupe Mountains earned the designation in 1972. I know we have a couple of federal parks in the Panhandle: Lake Meredith National Recreation Area and Alibates Flint Quarries National Monument; both were created in 1965. They’re fine attractions and provide a great escape for those seeking to enjoy the splendor of this part of the world. The magazine article prompts me to ask: Is it too late for the federal government to make such a designation? Much of the canyon now is part of the Texas Parks & Wildlife Department. It is a state park and is considered to be one of the premier parks within the state’s enormous park system. It’s expensive, of course, for the federal government to set up these national parks. But think of this: A huge chunk of Palo Duro Canyon already is in public hands. Couldn’t the state deed this spectacular piece of property to the federal government, which then could designate the canyon as a national park? It’s not as if the National Park System has stopped creating these parks. The most recent was created in 2003, when Congaree National Park was set aside in South Carolina. Every visitor we’ve taken to Palo Duro Canyon has been aghast at its scenic splendor when we arrive there. It opens wide along the vast prairie and it sneaks up you when you approach it. 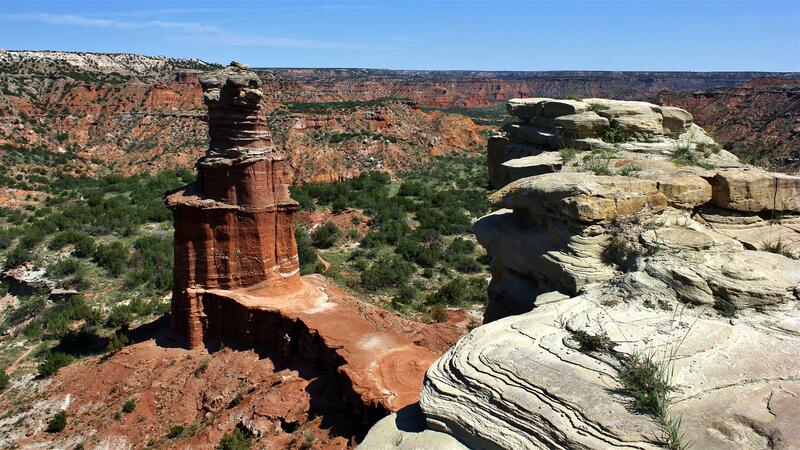 Is it reasonable to ask: Is it too late to reconsider Palo Duro Canyon for a national park designation? I won’t hold my breath. Still, I am posing the question out loud.